The Lenovo P70 might not sound all too familiar and it’s certainly not a device that will be competing against high-end handsets. It’s not supposed to, this is a mid-ranger which is well-known for its huge 4000mAh battery. This smartphone can last over a month in standby time depending on if you’re using 2G, 3G or 4G networks. Lenovo has unveiled that the P70 will be available in India as pre-orders for the device have already started rolling out. Currently, the handset is priced at Rr. 15,999 or about $250 in USD. First released in China, the Lenovo P70 started to emerge to other regions of the world with Europe receiving this mid-range handset back in February of this year and now India is getting the same treatment. Officially releasing on April 14, 2015 in certain retailers within India, the upcoming variant for the P70 doesn’t seem to stray off from the variant released in European markets. Overall, this is a more mid-range device that is advertised for Lenovo’s focus on providing an enormous 4000mAh battery. Lenovo’s P70 comes with a 5.0-inch 1280 x 720 resolution 720p display. Located on the rear of this handset is a 13-megapixel camera while the front face features a 5-megapixel camera. The handset comes packed with 2 GB of RAM and 16 GB of internal storage. Oddly enough, India retailer The Do Store, does not showcase the expandable memory slot while other variants of the smartphone comes equipped with a microSD card slot. We imagine this is likely a mistake on the retailer’s specification input for their website. This particular smartphone does offer dual-micro SIM card slots with access to GPRS, EDGE, HSPA+, and LTE. Powering the Lenovo P70 is a MediaTek MT6752 processor that is clocked at 1.7GHz. 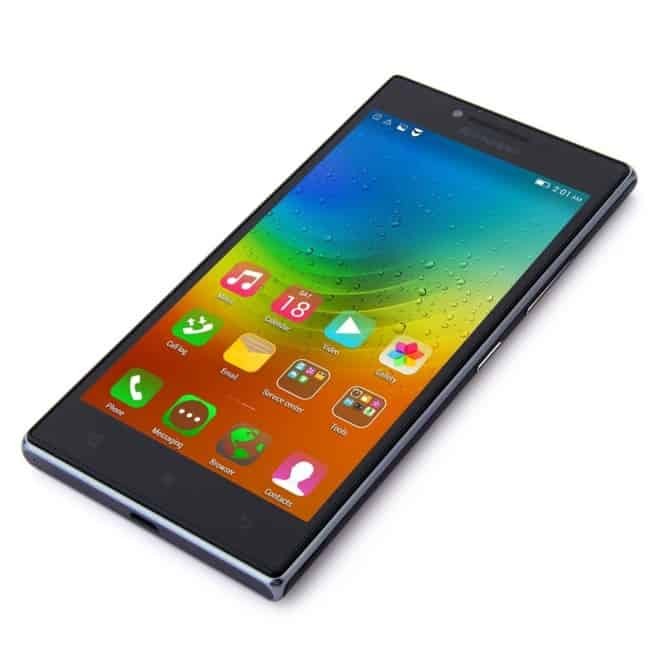 Out of the box the Lenovo P70 comes with Android 4.4 KitKat as the operating system for the handset while we’re unsure if the smartphone will update to the latest Android 5.0 Lollipop OS. Again, the biggest selling point for the device is the 4000 mAh battery which is non-removable. According to Lenovo, the battery on the P70 will last for up to 46 hours while on 2G, 18 hours on 3G while 4G voice is not supported. Standby time will keep the device running for about a month with about a solid 30 days of battery lifetime. The post Lenovo’s P70 Smartphone With A 4000mAh Battery Is Now Available For Pre-Order In India appeared first on AndroidHeadlines.com |.